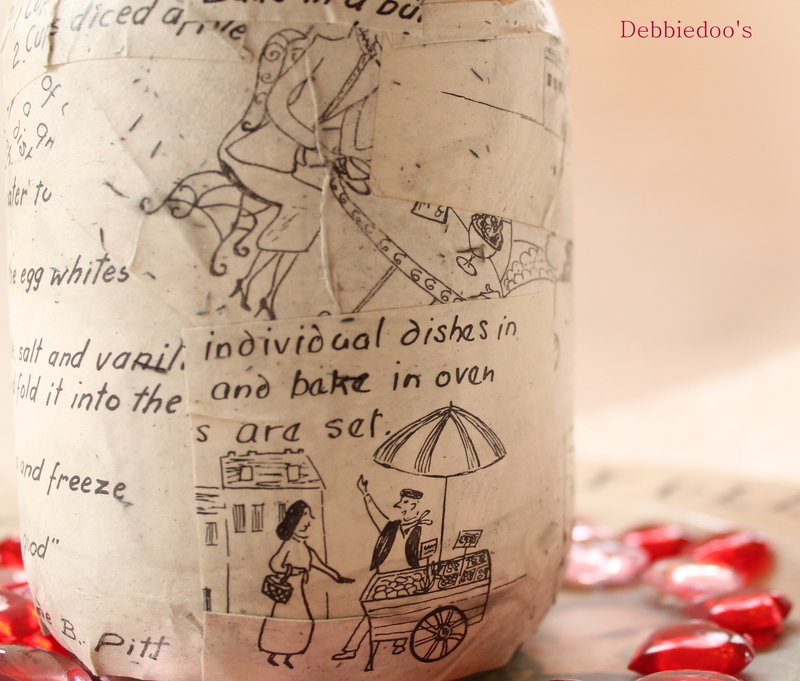 Today, I am sharing a recycled jar and mod podge craft! Dollar tree style of course! There is always something shakin over here. You have seen my upcycled can projects a time or two. I don’t believe I have ever done a recycled jar craft before. 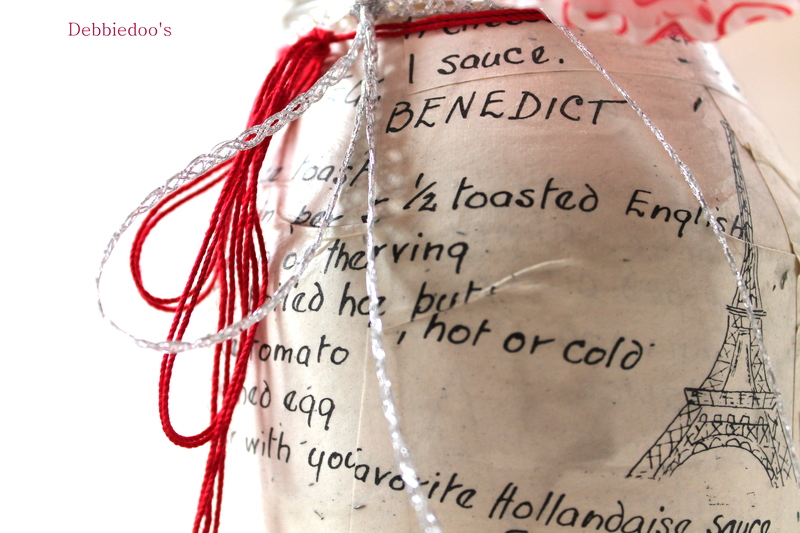 I saved this spaghetti jar one day and figured down the line I would do something fun with it. Even though, I don’t love to cook. This particular cook book is especially cute because it was all hand written with some cute graphics inside. And got busy with a mod podge project. in fact I start taking pics before it is even dry. 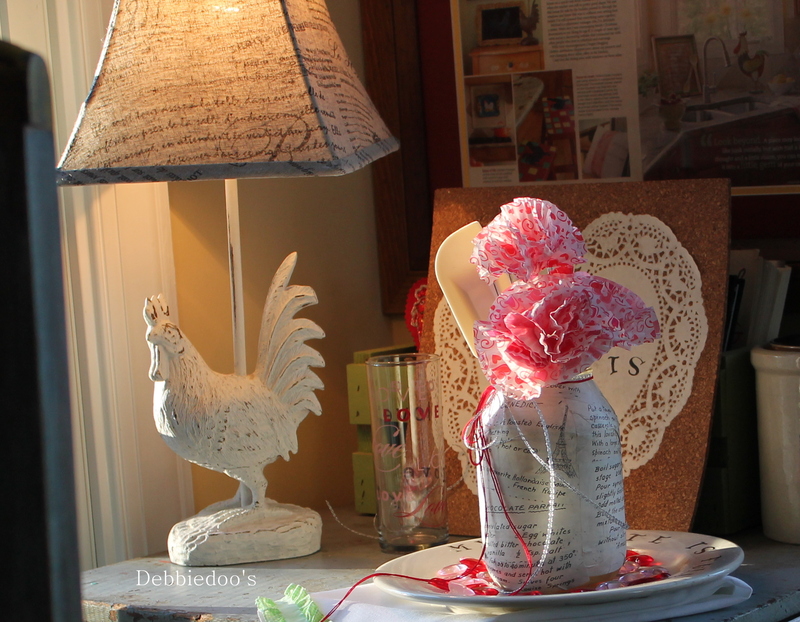 Now you can’t forget my dollar tree cupcake liner carnations. They were the perfect fill for this jar. embellished with some ribbon, twine . I have more coming up so stay tuned. I am on a Valentine roll around here. FREE, or just a Dollar at the dollar tree. 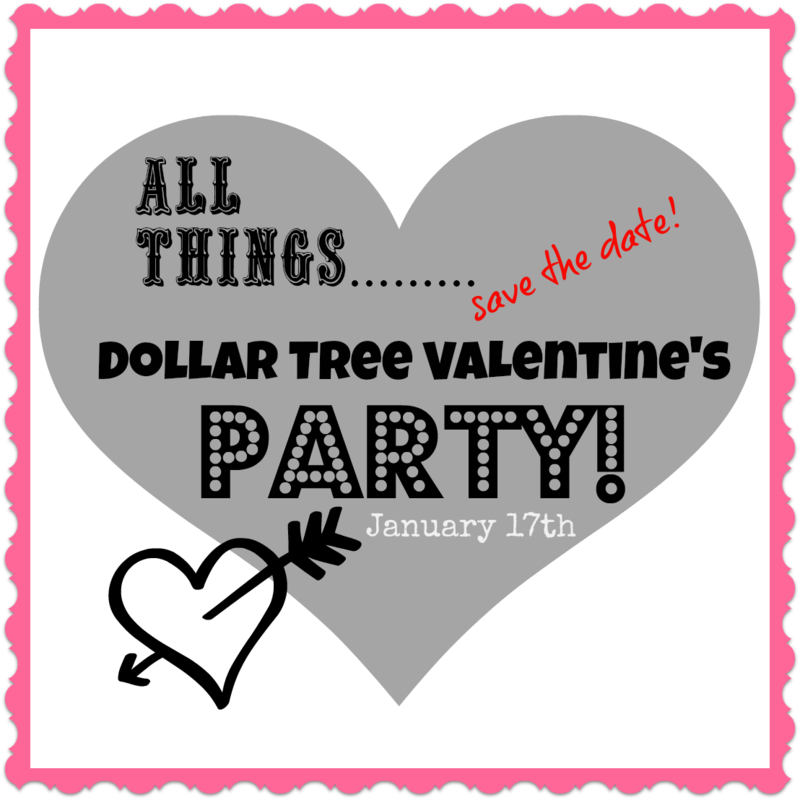 Can’t for the All things Valentine’s dollar tree party coming up. All I can say, is at the end of the day! Very cute Debbie! 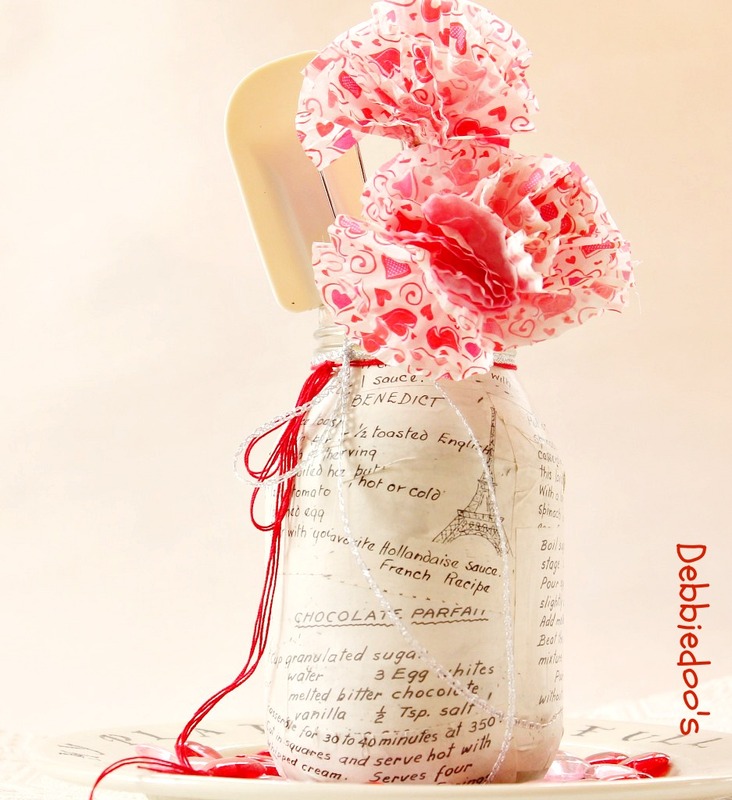 You are on a roll with your creative V-day projects! Keep up the good work. Very cute! I love the cupcake liners as flowers. I have to remember that so I’m pinning it. You are defiitely one crafty lady! Very cute! wow…you are really creating! I need to go find something to do so I can join the party!! How stinkin’ cute is that!!!!!! Hi Debbie Dear! OH, you’re the most created one! I love this! You’re just the most! I like this project, Debbie. Makes me want to get mod podging! You never disappoint!! Anytime I stop by — there is always a cute idea being offered. So sweet Deb! 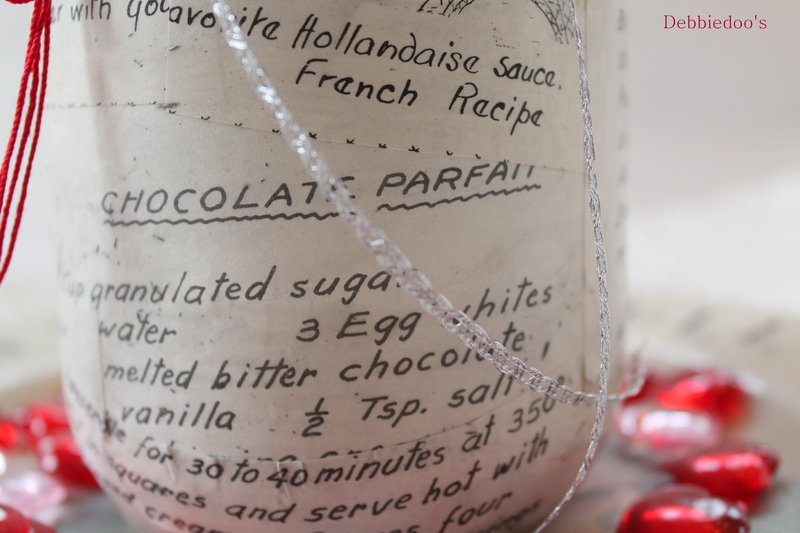 Love the mod podge jar! With the cute cupcake liner flowers! This is adorable! 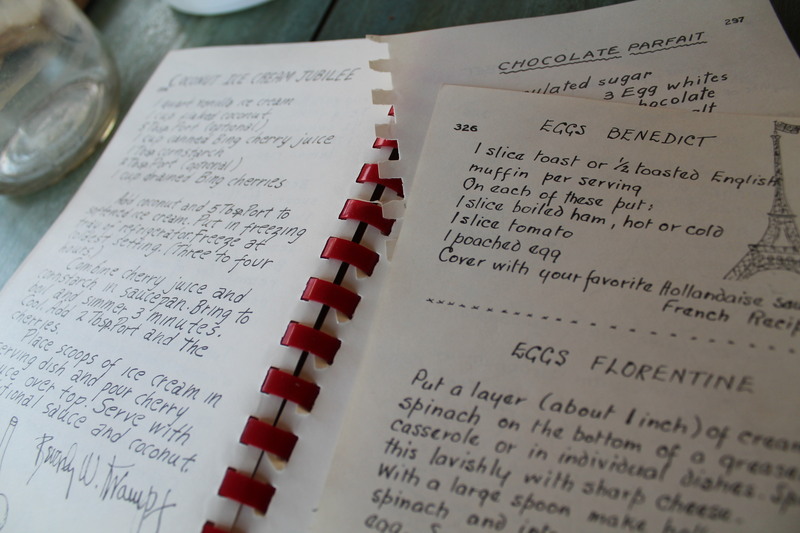 I love old cook books as well… But I never use their recipes, far too complicated and time-consuming according to me! 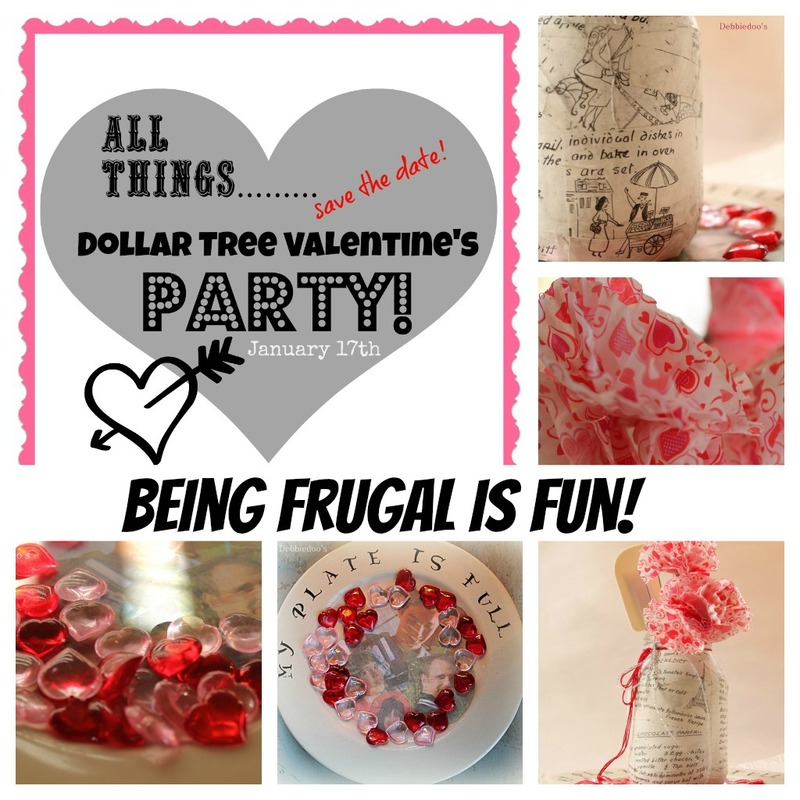 Another cute creation…gotta get myself over to the dollar tree! VERY cute! I always save jars with the intent of doing something crafty with them but very rarely follow through….maybe I will follow your lead! So cute Debbie! Looking forward to the 17th too !! This is darling, Debbie! I have a few ideas buzzing in my head already!! Adorable! Thanks for the inspiration. I have a spaghetti jar sitting on the counter waiting to be given new life. I may just give this a try. Any word on region band? I love the jar. The recipe graphics are great! I always love a good Mod Podge project. My husband asked me this weekend what it was. ?!?? How long has he been with me? Is that grounds for divorce? Lol! I kid. I love the cute carnations you made too! jar and mod podge! mykind of frugal! Hey there Debbie, I’m for sure gonna make myself a jar!!! I have my Grandmothers handwritten cookbook. It’s in bad shape (no cover etc) but I love it. 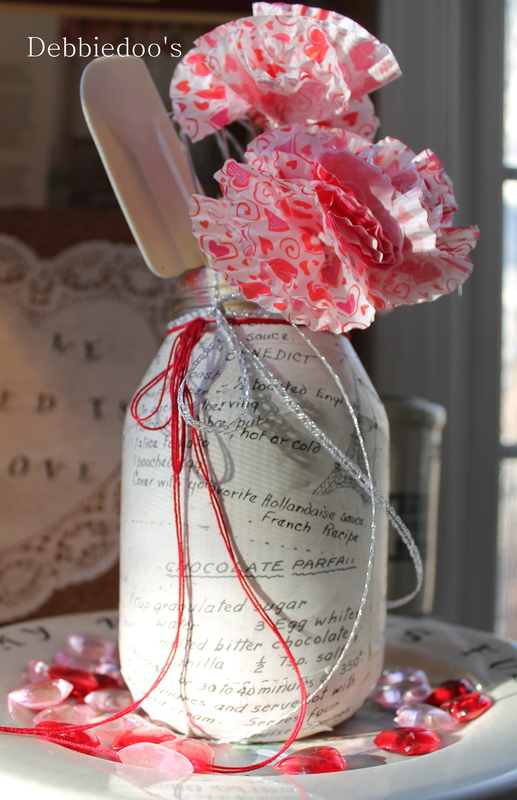 I think a jar with some of the torn & worn pages will be the perfect Valentine decoration to me, from Grama Nancy!!! Instead of buried in a drawer, a part of it will be on display on the counter; sweet don’t ya think!? Thanks so much for the neat idea. Have fun decoration for Valentines Day.